High reliable electronic booster sets for supplying water for domestic applications. 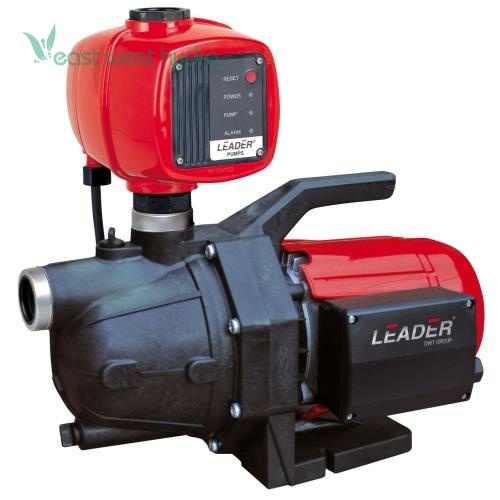 Equipped with an electronic safety device that protects the pump from dry-running. Built-in non return valve. Designed to automatically start and stop the pump when taps are open or closed. Automatic and manual reset. These type of pumps give a constant pressure and flow rate so they are excellent for irrigation systems. Anti-corrosive and rust-proof materials. Motor with thermic overload protection. Dimensions: 19in. × 11in. × 18in.